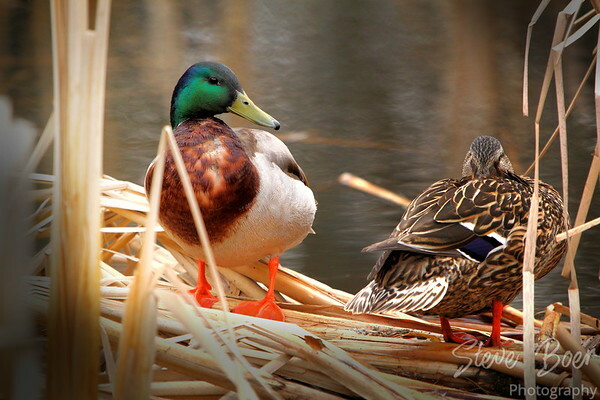 They’re mallards, not much else to say. I tried a bit of vignetting on this image to focus attention on the birds rather than the bright reeds that were surrounding them. It came out okay I think.